If excessive energy consumption by your garage door is bothering you or you think it has become outdated, we at ASAP Garage Door Services have got the most accurate solution for your problems. Our trained technicians will repair or replace your garage door as per your requirements and directions. Call (732) 322-8877 today and get a free quote! We offer same day inspection in most parts of New Jersey, including Middlesex. What Does ASAP Specialize In? We are experienced in taking care of your garage door in your residential and commercial properties, both. We specialize in all garage door services in Middlesex, New Jersey, ranging from repair and replacement of noisy doors, complete garage door replacement, installation of insulated doors, replacement of broken garage door parts like rollers, panels, torsion springs etc. Which Garage Door Types/Designs Can You Buy From Us? We lead the industry with our latest and in-demand garage door types and supply highly in-demand and latest designs with the promise of durability and backed by reliable services. 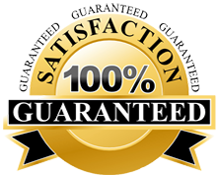 You can dial (732) 322-8877 to get free estimates and quotations for the type of garage door services you need. We’ll respond by offering your desired services on the same day of your contact with us. Alternately, you can also fill an online no-obligation form, give us all relevant information and we’ll soon get in touch with you! Since customer satisfaction is what we work for, our team members have the required qualification and training to offer reliable and permanent garage door solutions. We ensure you find our services affordable and personal every time you hire us in Middlesex, New Jersey! This entry was posted in Middlesex, Uncategorized on January 14, 2014 by admin.